For F1 success, should teams establish a number one driver? Should top Formula One teams seek a tandem or a number one driver? In Formula One, the top few teams tend to sign up a duo of drivers to be their driving team for a few years. But, there are two different ways that the teams can go about their tactics following the establishment of their driving team. Teams can either nominate one to be their number one driver or let them both loose to compete and push each other to the finish line. But which one is more successful? Formula One fans will have heard to no end how it’s the car that wins championships, and yet the way in which they organise their drivers certainly has an influence. Naturally, they need at least one world-class driver to utilise the car to its full potential, and having two may seem counterintuitive as they would effectively be taking wins away from each other, and possibly more. Over the recent eras of Formula One – since Michael Schumacher and Ferrari’s five-year reign – both the designated number one driver and the driving tandem methods have been used by winning teams. But, one has been able to emerge as the more successful method. Since Lewis Hamilton won the Drivers’ Championship in 2014, it’s been clear sailing for Mercedes. The team has won four of the last four Constructors’ Championships with one of their drivers also winning the championship in each of the last four years. The Mercedes era showcases a strong period for Formula One racing with a championship team employing competition between their drivers. While the tandem of Lewis Hamilton and Nico Rosberg didn’t always get along driver to driver, they evidently pushed each other to race harder and win bigger. In 2014 and 2015, Nico Rosberg challenged Lewis Hamilton for the title but fell short, until the German eventually broke through to take the 2016 season by a hair. Over these three years of having competition within the team, Mercedes won the Constructors’ Championship by a landslide. With a winning margin over the nearest team of 296 in 2014, 275 in 2015, and 297 in 2016, the battle between Rosberg and Hamilton led to great success for Mercedes. Last season, Mercedes continued their dynasty with another Drivers’ and Constructors’ Championship win. But in 2017, they did it without Nico Rosberg. The German retired as the champion, so Mercedes hired Valtteri Bottas to be Hamilton’s number two. 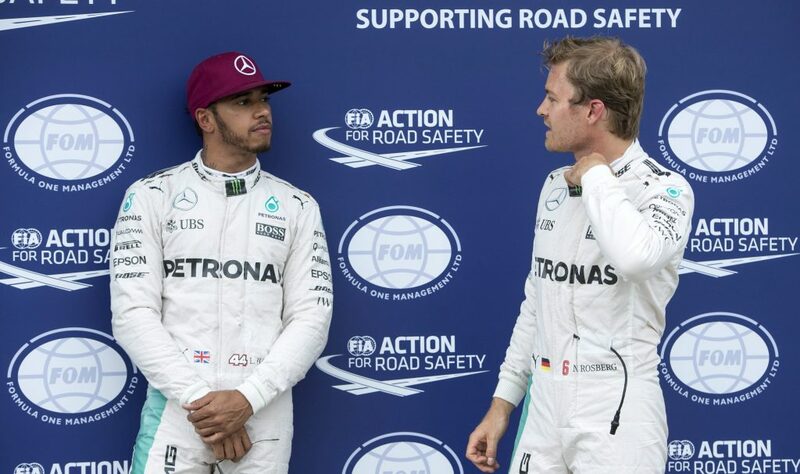 The disputes between Hamilton and Rosberg were often seen as damaging to Mercedes despite their obvious success, and yet, with a designated number one driver, the team’s win wasn’t as commanding. In 2017, Mercedes claimed the championship with a 146-point gap over the next closest team – less than half that of two years with a tandem driving team. This year, Lewis Hamilton comes in as the clear favourite to win the Drivers’ Championship at 8/15, spearheading what looks to be another superb Mercedes car. The team is also a heavy favourite to win the Constructors’ Championship at 4/11. But, following in the footsteps of previous Mercedes championships, perhaps Red Bull’s very strong driving tandem of Max Verstappen and Daniel Ricciardo could usurp Hamilton and Bottas at 5/1. From 2010 to 2013, the Red Bull team helmed by Sebastian Vettel won everything. Four Drivers’ Championships and four Constructors’ Championships yielded a very fruitful dynasty. Throughout this age of Red Bull dominance, Sebastian Vettel had trusty wingman Mark Webber to caddy him to victory. With seven wins in four years, Webber didn’t steal any of Vettel’s thunder, merely contributing to the points totals accumulated by the Red Bull team. With a clear number one driver, Red Bull weren’t anywhere near as dominant in the Constructors’ standings as Mercedes would eventually become. Even though Sebastian Vettel demolished the Drivers’ standings each year, Red Bull’s winning margins came in the form of 44 points in 2010, 153 points in 2011, 60 points in 2012, and 236 points in 2013. 2010 saw the induction of a new points system to Formula One. Since then, regarding average points margins between the winners and second place in the Constructors’ Championship, a competitive driving tandem makes for a far more successful team than one with a number one driver. The average gap between first and second when the championship team hosted a number one driver is 127.8 points from 2010 to 2017. But when it comes to having a driving tandem in which the duo competes with each other, the average gap is 289.3 points. So, having a strong and competitive driving tandem will result in a more dominant reign of a top team as opposed to having a designated number one driver. 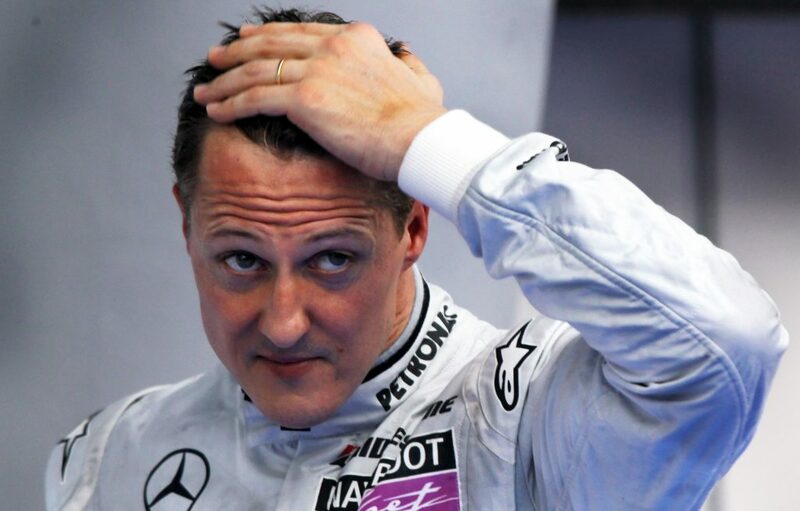 After Michael Schumacher won his fifth Drivers’ Championship in a row in 2004 as Ferrari’s driver, an era of very competitive racing was embraced by Formula One. In this era, somewhat of a modern anomaly occurred. Lewis Hamilton won the Drivers’ Championship in 2008 as a McLaren driver, but Ferrari claimed the Constructors’ Championship. Hamilton was the clear number one driver for McLaren in 2008, with Heikki Kovalainen struggling to make an impact. The season resulted in glory for the English driver, but a second-place finish for the team behind Ferrari and their driving tandem of Felipe Massa and Kimi Raikkonen – who finished second and third in the Drivers’ Championship, respectively. The 2008 season is probably the pinnacle display of having a number one driver not being as successful as a strong and competitive duo who push each other. The 2005 and 2006 titles went to Renault and Fernando Alonso, with the Spaniard as the clear number one driver alongside Giancarlo Fisichella. 2007 saw the tandem of Raikkonen and Massa showcase the ultimate display of teamwork. Massa had pushed Raikkonen through the season, getting three wins and ten podiums, but at his home Grand Prix (Brazil), he ceded the lead to give his Finnish teammate the championship. Ferrari won the Constructors’ Championship by a mighty 103 points that year, despite Massa finishing fourth in the drivers’ standings. Jenson Button shocked Formula One in 2009 to lead Brawn to Constructors’ Championship and his own Drivers’ Championship. One of the reasons why Brawn worked so well that year was because they teamed Button up with Rubens Barrichello, who pushed Button throughout the season. In these five seasons before the points change, number one drivers still didn’t make teams as successful as driving tandems did. Teams that won both championships with a number one driver averaged a winning gap in the Constructors’ Championship of seven points, whereas driving tandems averaged a 60.75 points gap. The success of the team is, of course, greatly down to the car and how it holds up over the season. However, for greater success and greater dominance, a driving tandem has shown to be superior to a designated number one driver over the last 13 years of modern Formula One.